Discover why San Sebastian in Spain ranked #76 in our countdown of ‘100 Most Incredible Cities in the World’. This charming coastal city in northern Spain’s Basque region is adored by loyal visitors for its relaxed seaside vibe, gorgeous surfing beaches, and delectable pintxo (tapas) bars dotting the streets of Parte Vieja (Old Town). 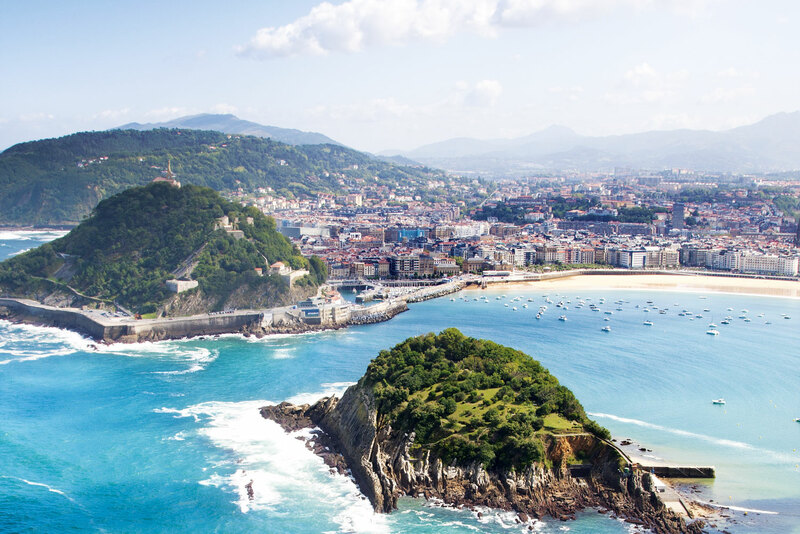 Just a short 20 kilometres from the French border, San Sebastian exudes an international vibe. Its acclaimed annual San Sebastian Film Festival, held in September, draws visitors from around the globe. The city is home to not one but SEVEN Michelin star restaurants including three of Spain’s highest ranked three-star Michelin restaurants. A stand-out is Mugaritz, considered one of the best restaurants in the world.